The book that New York Times bestselling author Neil Gaiman considers "one of the finest [fantasy novels] in the English language." 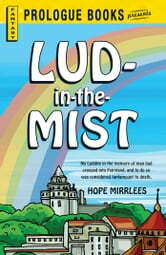 Between the mountains and the sea, between the sea and Fairyland, lay the Free State of Dorimare and its picturesque capital, Lud-in-the-Mist. No Luddite ever had any truck with fairies or Fairyland. Bad business, those fairies. The people of Dorimare had run them out generations ago--and the Duke of Dorimare along with them. 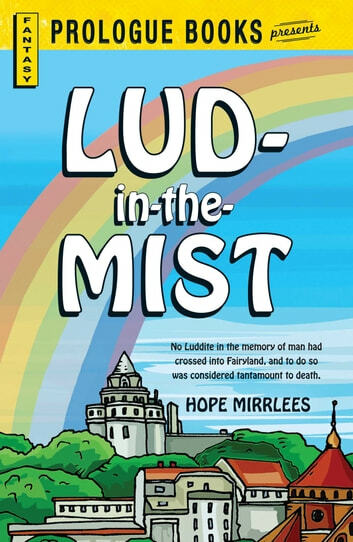 Until the spring of his fiftieth year, Master Nathaniel Chanticleer, Mayor of Lud-in-the-Mist and High Seneschal of Dorimare, had lived a sleepy life with his only son, Ranulph. But as he grew, Ranulph was more and more fond of talking nonsense about golden cups, and snow-white ladies milking azure cows, and the sound of tinkling bridles at midnight. And when Ranulph was twelve, he got caught up with the fairies, and Nathaniel's life would never be the same.